If you follow our Over My Shoulder Foundation blog, you’ve probably heard us talk about Designing the Next Generation, which is our international conversation about raising the awareness of mentoring relationships and the powerful impact that they can make. Understand that you will be taking on a role as both a coach and advisor. Not only will you offer useful and meaningful advice to your mentee, you will also need to be prepared to offer feedback when necessary. You will need to provide encouragement and support to your mentee when necessary. Being a mentor is not just about instructing your mentee on what to do. A huge component of this role is to be a sounding board and provide the necessary support that your mentee needs to achieve his or her goals. Offer resources. 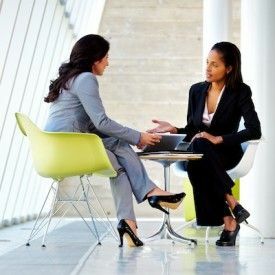 Sometimes you will not have all of the answers, and sharing your contacts and resources with your mentee can be extremely valuable. Encourage new ways of thinking. Sometimes it’s okay to play devil’s advocate with your mentee to encourage him to think through important decisions. To learn more about how to be a good mentor, contact us!